Learning to read can be a more complicated process for some children than others. If your child struggles with reading, talk to his or her teacher and express your desire and willingness to help. But while the support your child receives at home can have a huge impact on his or her academic success, teachers need to be aware of any factors that can affect a student’s classroom performance. Let the reading teacher know that your child has a developmental disability that contributes to his or her reading problems. Whether your child has a language, learning, intellectual, or emotional-behavioral disability, it’s important to get intervention services that can help prevent additional problems in school. 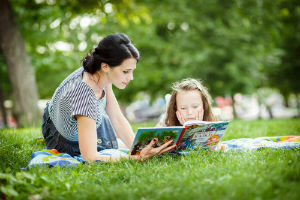 Make the reading teacher aware of any medical conditions or medications that your child is taking that can lead to poor memory or disrupted sleep, either of which can contribute to concentration and reading problems. Tell your child’s reading teacher that he or she has a hearing impairment that makes it difficult to distinguish different sounds. A hearing problem can make it hard for your child to learn the separate speech sounds, or phonemes, that blend together to form complete words, making it difficult to sound out words. Share that your child has a vision problem that is affecting his or her reading. Blurry or double vision can slow both reading speed and comprehension as your child struggles to focus on each word of text. A vision impairment can also make the words on a page look like they are moving, which can impair reading skills. Explain to the teacher that your child has difficulty recognizing words out of context. Your child also may have trouble understanding, summarizing, and/or remembering what he or she reads. 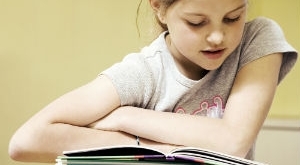 Point out that your child appears to lack concentration when reading. But what can look like inattention may be the inability to: pick out the main ideas in a passage; make sense of what he or she is reading; or infer meaning from the words printed on the page. Inform the reading teacher that your child has trouble spelling. While reading involves translating letters into sounds, spelling is the opposite and involves translating sounds into letters. Poor spellers often have problems visualizing a full word in their minds. Unfortunately, there are scores of words in the English language that aren’t spelled the way they sound. To complicate matters more, your child may have a neurological deficit in the area at the back of the brain that stores how to pronounce a word, what it means, and how to spell it. Through all of these reasons we are confident at Read Smart that we can help your child not only read better, but enjoy reading. Contact us for more information today.